This service is designed for LTL Shipments in the NY, NJ, CT and MA area that don’t need to be expedited. Our Straight trucks can carry a pallet jack, dolly, moving pads, load lock bars, e-track Straps and other equipment to help secure loads. Lift gates handle up to 2,000 lbs. Always understand that any shipment that requires lift gate service should not be top heavy and the lighter the pallet the safer the operation is. Our contractors are helpful in loading and unloading. Inside deliveries available, special services such as palletizing freight, labor and pad wrapping available when scheduled in advance. 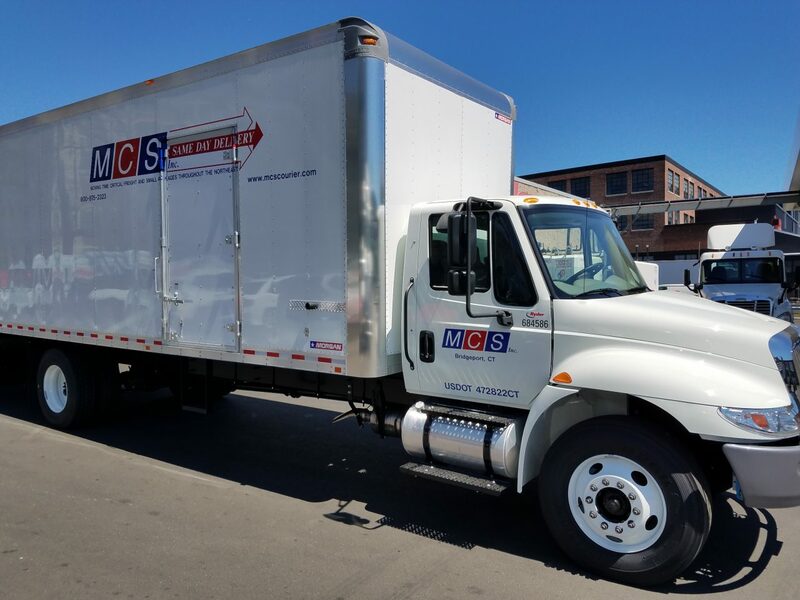 Trade show, airport and residential deliveries are no problem at MCS.